Window tinting isn’t just a great way to keep the sun out of your eyes at home or help lower your heating and cooling bills, it’s also a great way to protect your health. What are some of the many health benefits of window tinting? How can it benefit your home and the health of your family? Read on! UV exposure isn’t just something you should be thinking about when you’re outside, it’s also just as important indoors. Ultraviolet radiation easily goes through untreated window glass. If you spend time working or cooking in front of a window, the UV exposure that you get can be close to the same that you would get if you were standing outside. Window tinting filters out the harmful UV rays and also protects you and your family from the harsh light of the sun. A bright indoor or workplace environment seems like a good idea, until you find yourself squinting away a headache after only a couple hours of work. Too much indoor sunlight creates glare on your computer screens and can cause discomfort, fatigue, and headaches. 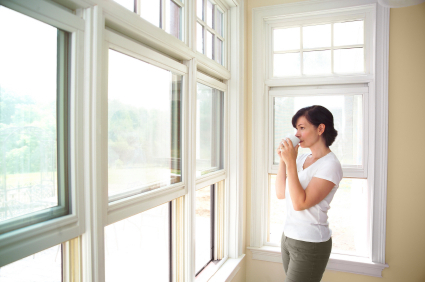 Use a window tint at your home to protect your health and prevent major discomfort. Recently, researchers at the National Institute for Health found links between UV radiation from sunlight and the chances of developing dermatomyositis, an autoimmune disease that harms your skin. If you already have an autoimmune disease, too much sunlight can also exacerbate your symptoms. Install window tinting in your home to protect the health of your family, especially if anyone has an autoimmune disease. Most homes are never broken into, but window tinting can help prevent your window glass from shattering and hurting anyone in your family in the event that it occurs. Windows can also break due to tornadoes, hurricanes, and other weather events, so window tinting can protect you throughout the year. This entry was posted on Friday, July 21st, 2017	at 2:06 pm	and is filed under Blog, Residential Solar Tinting	. You can follow any responses to this entry through the RSS 2.0	feed. Responses are currently closed, but you can trackback from your own site.